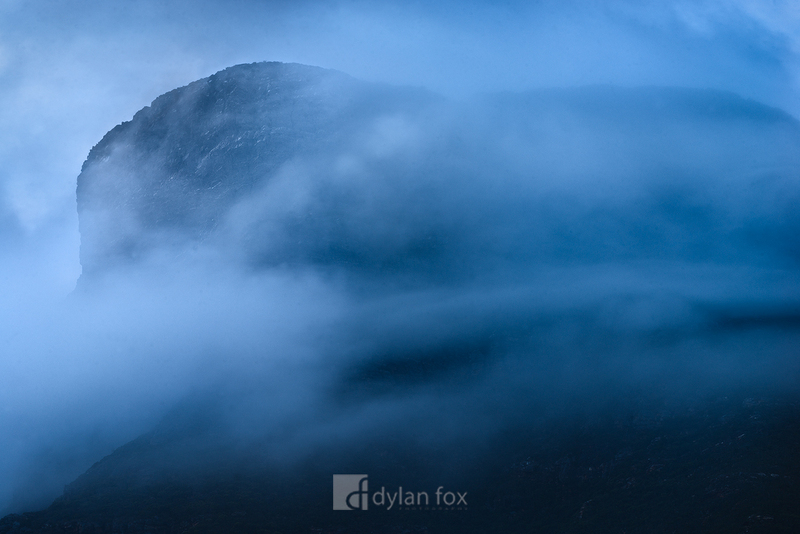 Only for brief moments, the peak of Bluff Knoll would reveal its self through the low clouds. The Stirling Ranges rise high above the otherwise flat and harsh, Western Australian landscape. The hike to the top of Bluff Knoll took me roughly an hour and a half. It is a steep climb but the view is well worth the effort. The views are absolutely stunning! Secure your limited edition, Bluff Knoll print, 'Head In The Clouds', by selecting your desired print size in the menu to the right.